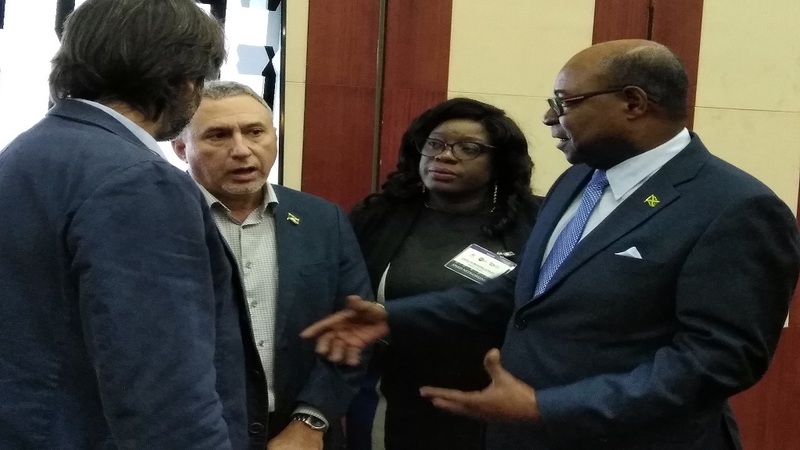 Tourism Minister, Edmund Bartlett (right), and Metry Seaga (second left), interacting with suppliers at the Tourism Linkages’ Speed Networking event at the Montego Bay Convention Centre on Wednesday. In arguing that technology is a tool to strengthen the competitiveness of SMTEs, Tourism Minister, Edmund Bartlett, has announced that the Ministry of Tourism and the Tourism Enhancement Fund (TEF) are to partner with Destination Experience to stage an information technology conference at the Spanish Court Hotel in Kingston on Thursday, April 4. "....As a solution, the Ministry of Tourism and the Tourism Enhancement Fund are collaborating with Destination Experience to host a forum titled ‘Digital Transformation for the Tourism Industry’ on April 4 at the Spanish Court Hotel in Kingston. I encourage everyone to attend," Bartlett announced. 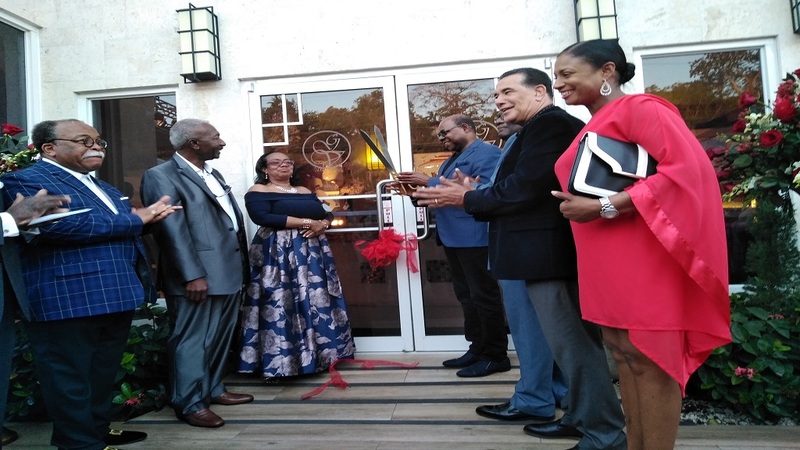 He was speaking at the fifth staging of the Tourism Linkages’ Speed Networking event, held at the Montego Bay Convention Centre on Wednesday. The event is held to bring together sellers and buyers to bridge the supply gap in the tourism sector. The tourism minister bemoaned that although data network aids in bridging the gap locally and internationally between small stakeholders in the tourism sector and their larger competitors, there still exists a considerable divide between tourism stakeholders and technology solution companies. "Information technology helps to level the playing field between big and small businesses in the local and global tourism markets. However, we have found that there is a significant gap between tourism stakeholders and providers of technology solutions," Bartlett said. "Nowhere has technology been a greater disrupter than in the global tourism industry where it has changed traveller behaviour and expectations. Yet, locally, we are not taking full advantage of technology as a key catalyst for innovation," he indicated. "I applaud both the suppliers and buyers here today (Wednesday), for seizing this great opportunity. 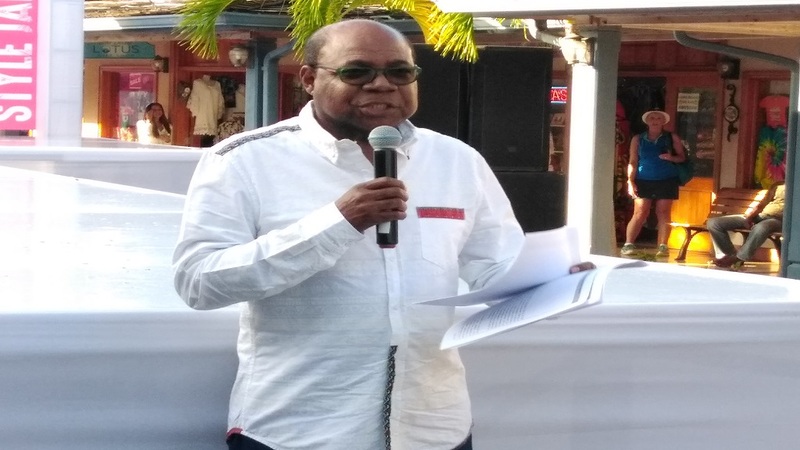 In so doing, you are building an inclusive and sustainable tourism sector in which all stakeholders, both large and small, are empowered to take full advantage of tourism’s vast possibilities," Bartlett stated. The event gave suppliers a critical 15 minutes to market their brands, products and services to buyers in the tourism sector. "You have a little time to make a big impression, so your pitch must be short, sweet and to the point. If you are serious about expenditure, retaining more of our tourism dollars, eliminating poverty and promoting shared prosperity, then we must – and I reiterate must – ensure the better integration of small and medium enterprises (SMEs) into the local economy," he stated. In noting that the speed networking event demonstrated a commitment to the concept of backward and forward linkages, Bartlett trumpeted the event as having been a success over the years. "It has been well received over the years, with both buyers and suppliers welcoming the opportunity to have meetings, network and form business relationships. "Last year we had 56 supplier companies and 33 tourism entities in attendance. This year we have 110 supplier companies and 57 tourism entities, proof that this event is gaining traction because participants are seeing results," Bartlett said. "I am pleased to share that Speed Networking 2016 resulted in contracts valued at some $181 million, while the 2017 event saw suppliers benefitting from over $200 million in contracts; and in 2018, the value of these contracts grew to over $250 million. 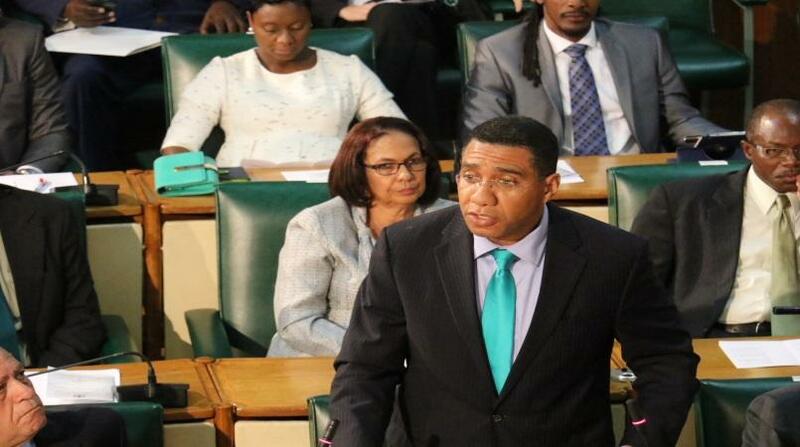 That is over $630 million in contacts for local SMTEs from just three one-day linkages events."